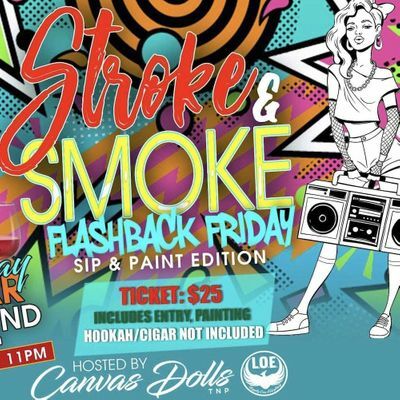 Join us for the Stroke and Smoke Flashback Friday Edition. Ticket includes entry and all painting supplies. Ladies and Gentlemen this is the social event you've been waiting for. 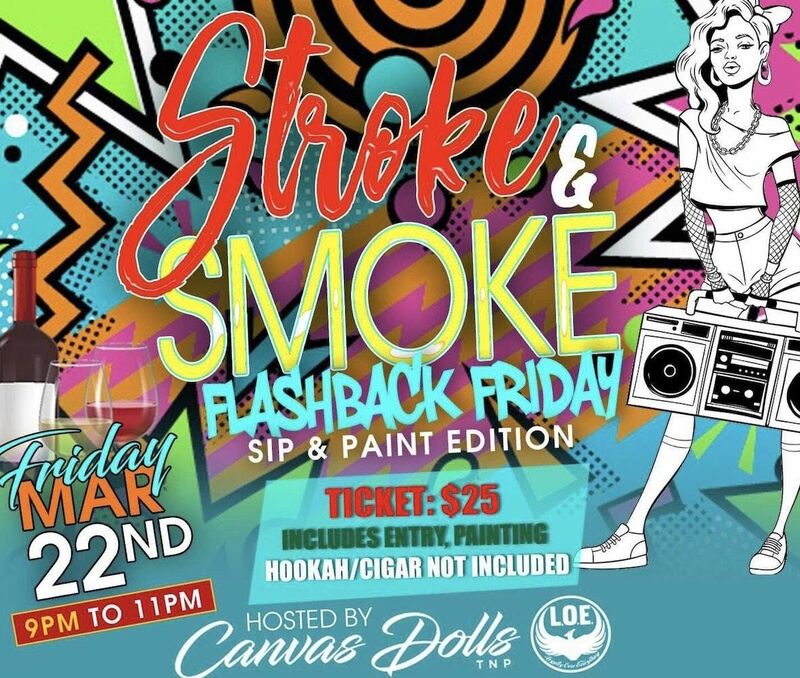 Let your artistic juices flow, enjoy food, drink specials and the best R&B and Hip Hop music by DJ Friday all while in an adult atmosphere. Limited seating so be sure to get your tickets today. Don't say we didnt tell you. See you there!!! No refunds available.